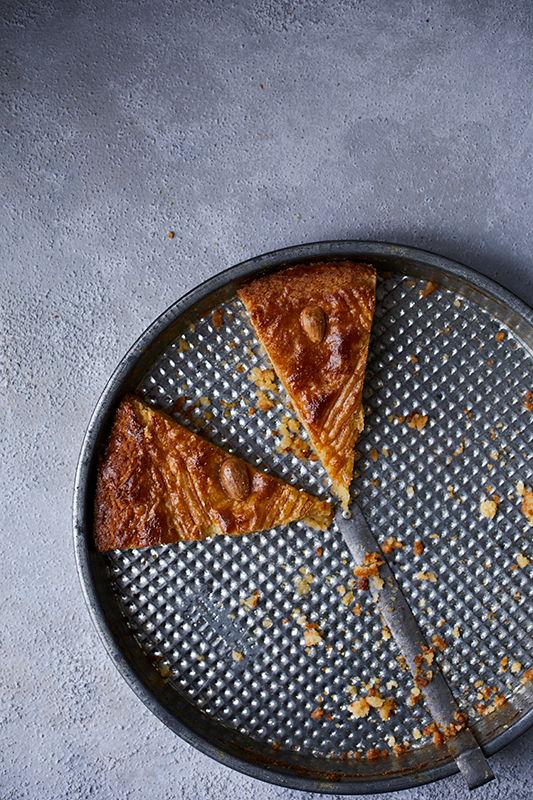 Boterkoek or simply Butter Cake is a Dutch recipe that I make so regularly. 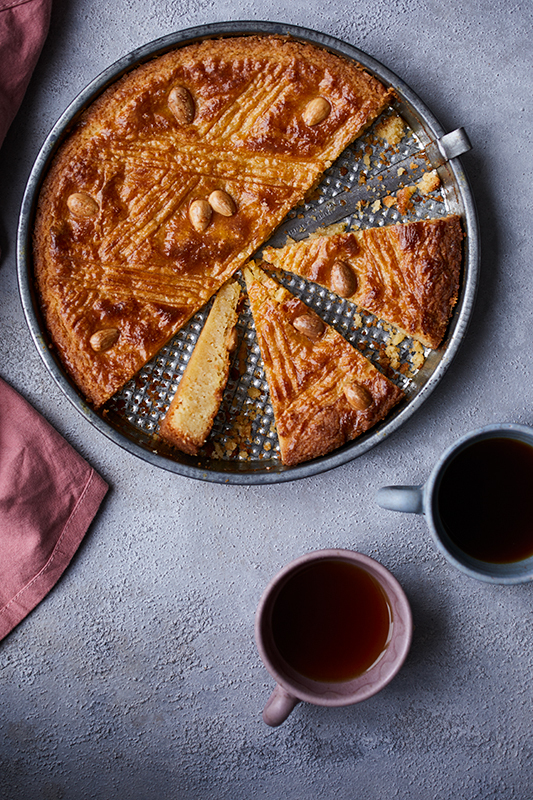 It’s fairly common to get a little cube of this with a cup of coffee if you are in The Netherlands, and a lot of people ask me for this recipe as I usually make it if I’m having someone over for coffee. I used to make this recipe by kneeding it with my hands but you can get the same result in a stand mixer. Also, it’s a lot messier with your hands which I count as a no. So go whichever way suits you or what you have available to you. I will reference from now using a mixer. Start by placing the butter, sugar and salt into a stand mixer and beat on a med-high speed until pale and blended. Add the flour and mix until everything is just incorporated. Bring dough together into a disk shape, wrap in cling film and place into the fridge for about 30mins. Prepare your tin with some butter and a light dusting of flour. Take your chilled dough out of the fridge and squash into the tin. You don’t need to roll out the dough for this, just simply squash it and flatten until the dough reaches all of the edges. Take the back of a spoon and smooth out the surface. Traditionally the top is scored using a fork in almost a diamond shape. 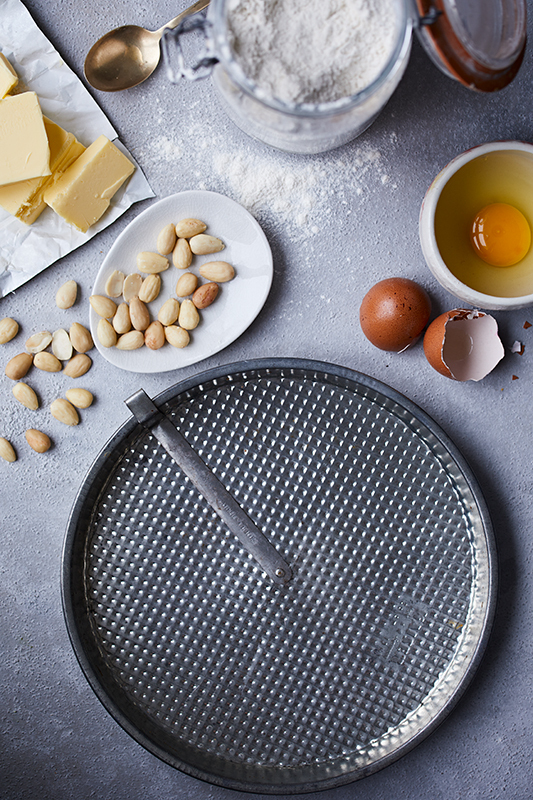 Place the whole almonds inbetween the scoring (similar if you like to the images) and brush over with some egg. Place into your preheated oven for 20mins or until golden, I like mine a bit on the crispy side. Leave to cool fully and slice as you wish. This lasts quite well, I enjoy it more sometimes the day after baking. Store in an airtight container and hide from everyone you know, so you can have it all!! I can’t believe this is so easy, we had it last weekend and it tasted divine. It was quit like short bread but different, I loved it. Definitely making this tomorrow for my quilting group.